The magic number to many looking for an engagement ring is and has been for many years the number ONE. The 1 carat round brilliant solitaire is considered by some as the perfect whole number and ultimately the perfect choice. But it seems many are starting to creep above the 1 carat diamond nearing or requesting for a 1.5 carat diamond. Let’s be frank, there are many women who cannot shy away from a big rock with lots of sparkle! If you are one of many considering a larger sized diamond for your engagement ring, we recommend taking the time to see all your options. With the demand for 1 carat to 1.5 carat and even 2 carats diamonds on the rise it may take a little more time to find that perfect diamond, but it is well worth the wait. Be careful not to forgo on quality too much in the rush to buy a diamond. 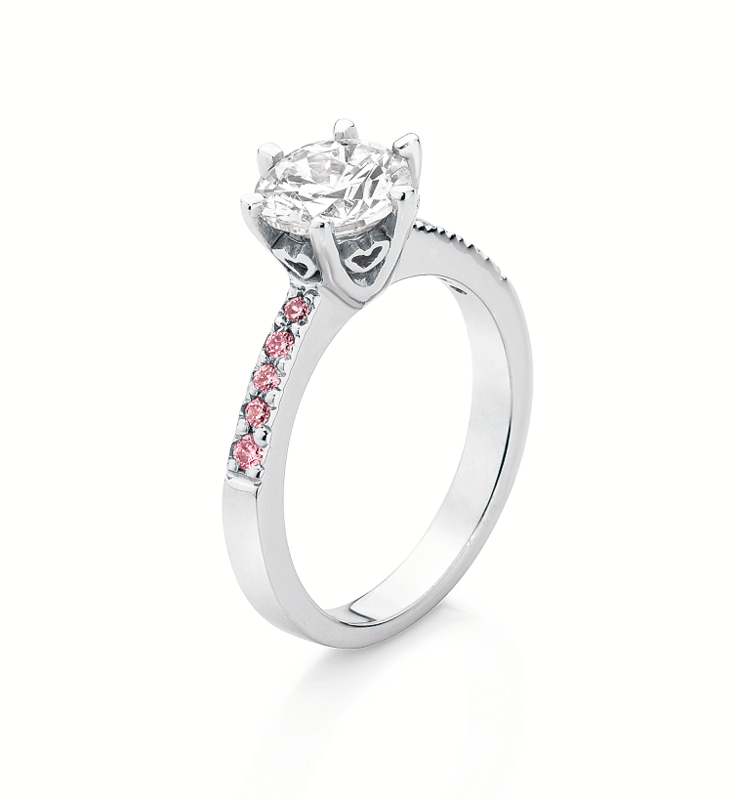 Always keep in mind that you want your ring to sparkle with brilliance, not appear dull and lifeless. When it comes to designing an engagement ring with a large diamond most want their diamond to standout amongst the crowd and often choose a solitaire design or for a touch more sparkle a solitaire with a diamond band. At Larsen Jewellery we also love the look of a beautiful halo of diamonds circling your centre stone. Round brilliant diamonds are what we initially think of when we think of 1.5 carat solitaire diamond rings but they are not the only shaped diamond that look fabulous on their own Princess, Asscher, Pear, Oval or even an Emerald cut, like Elle McPherson’s engagement ring, all look stunning set into a solitaire engagement ring. Round brilliant diamonds demand a premium, not only due to their popularity but also due to the fact that when creating a round brilliant diamond more of the rough stone needs to be cut away in comparison to other cuts. At Larsen Jewellery we love the process of finding beautiful larger diamonds for our clients; they are undeniably luxurious and exquisite. With strong relationships with reputable diamonds companies we take pride in being able to offer our clients some of the most remarkable diamonds and designing the perfect ring to fit. All of our designs can be set with your choice of diamond size or we can work with you to come up with something beautiful and unique to you.